It’s greedy and relentless, decimating lives and habitats, but it also entertains us, feeds us, and provides a sense of security. The raw power of fire captivates humans—the only species bold enough to wield it. And our existence today is, in large part, thanks to our relationship with this volatile force. 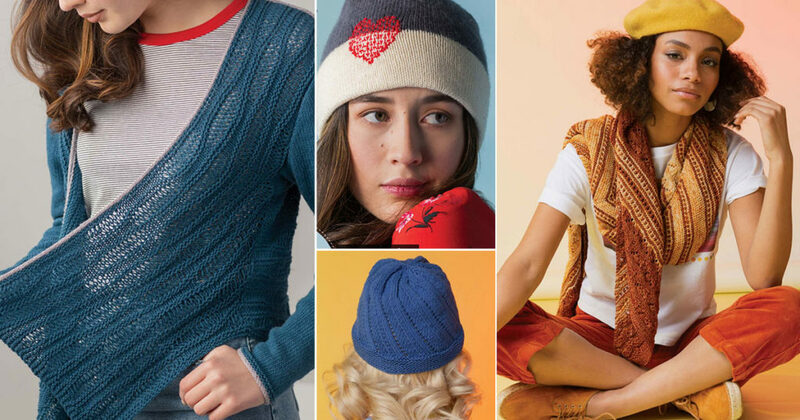 The Summer 2019 issue of knitscene is dedicated to exploring that unrelenting fascination. We focus on the element of fire through our color palette, stories, and patterns, and we explore fire through multiple lenses: as a tool, in its base components, and through its symbolism. Our “Embroidered” story is one on embellishing knitted fabric with embroidery floss and yarn. 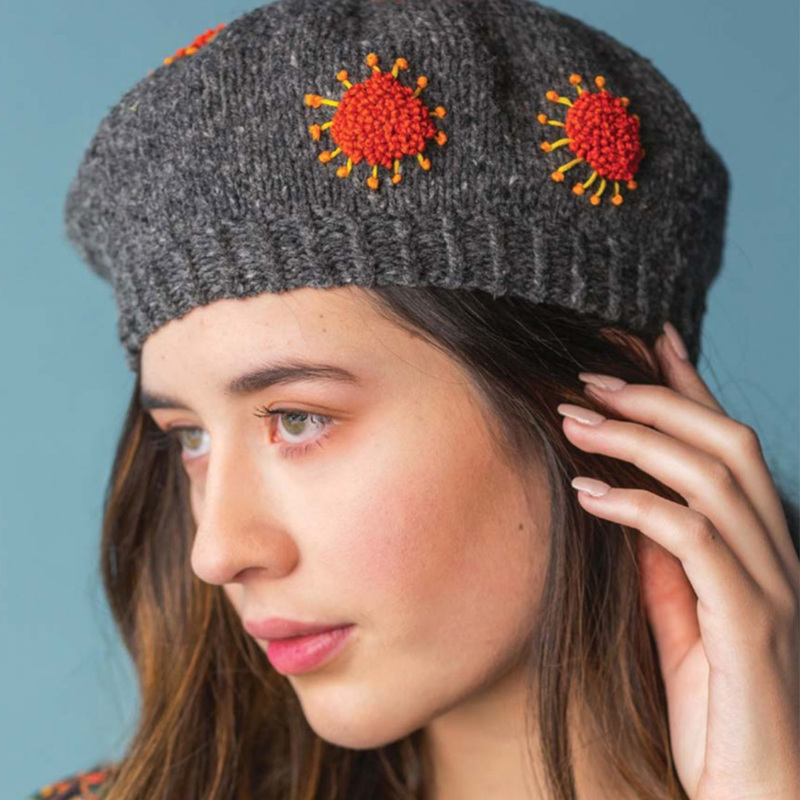 You’ll explore fire-inspired motifs through projects such as the New Growth Hat, which celebrates fire’s regenerative nature. And don’t miss the tutorial on Kutch embroidery, a beautiful art form from Gujarat, India. “Deconstructed” celebrates openwork techniques such as lace and dropped stitches. 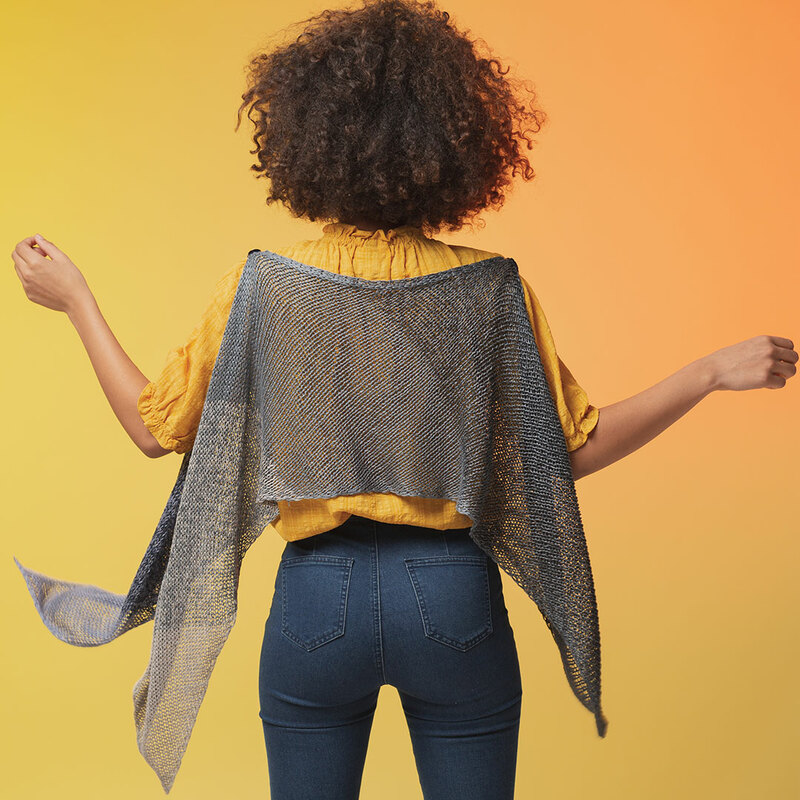 The Plasma Shawl is an eye-catching garment from this collection; it features undulating stripes of dropped stitches that mimic the swirling pockets of air and flickering flames above campfires. The final story is called “Biased” because it celebrates bias knitting, bold angles, and exciting colorwork through seven striking patterns. The Prometheus Top pays tribute to the Greek myth of Prometheus, the fire-bringer, with a Grecian-inspired top that converts to a wrap or scarf and is knitted in the colors of soot and ash. You’re in for a real treat with Coast to Coast Yarn Co, an indie dyer who specializes in beautiful hand-dyed skeins and drool-inducing baked goods. A fiery Gear Guide will ignite your knitterly passions. 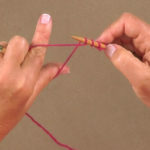 Lastly, we have the one easy secret to removing smoke smell from your yarn! I hope this issue fires you up to try one of the techniques we’ve featured or to delve into humans’ deep, lasting connection with this powerful element. Get the Latest Issue or Subscribe to Never Miss an Issue!